Now that we live in a mobile world (and make decisions by swiping left and right) we wanted to make sure that your GigMasters profile was ready for today’s event planners. In addition to being mobile friendly and SEO optimized, your new profile was designed to prominently feature your photos at the top of the page. Hopefully by now you’ve had the chance to get familiar with the new design. If you haven’t, please go to your live GigMasters page now...we can wait. Looking good? OK, let’s move on. One of the coolest things about the new design is that you can customize the size of your Profile Photo and Search Results Photo separately. Before, it was the same image, so you were limited to a square box. Now you're free to set your Profile Photo to any ratio! When we launched the redesign on March 1st, your Profile Photo was reset back to its original size (uncropped). We did this to make sure that your highest quality image appeared first, and to give you the ability to resize. Tip: We recommend that you log in here and check the size of your Profile Photo. If you need to make any cropping adjustments, the new tool is super easy to use. 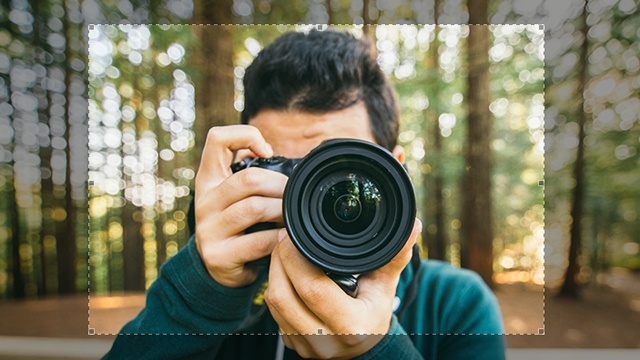 If you'd prefer to resize your photos before uploading, the standard 4:3 or widescreen 16:9 ratios look the best with the new design. As soon as you crop your Profile Photo and click “NEXT” you will be immediately prompted to edit your Search Results Photo. This is a square thumbnail size (like before) and is still the first image that clients see in search results. 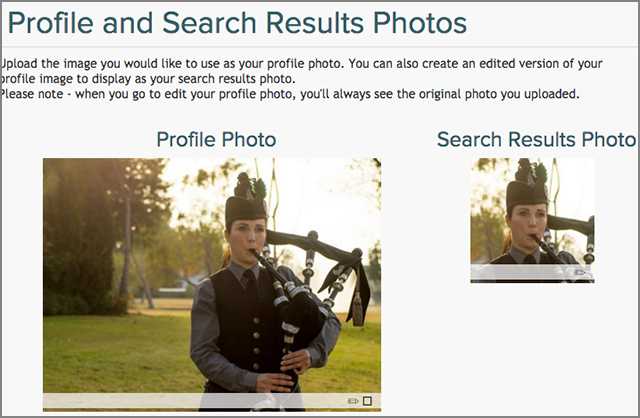 Again, the difference here is that you can crop your Search Results Photo to a different size than your Profile Photo. Tip: Since this is a smaller image, professional headshots, live performance closeups, and company logos look best. Have you seen your new GigMasters profile on a phone or tablet yet? Check it out! We think the new mobile design is amazing. Clients will quickly get to know you by seeing your gallery first, and easily swipe your photos left and right. OK, back to the Photo Uploader. As you’ll see, not much has changed with the gallery tool. However, just like your new tool for the Profile Photo, you can customize your gallery photos to any ratio. You can still change the order that your photos appear in your slideshow by changing its number. We recommend you take some time to look at your new profile from a client’s perspective. Go to GigMasters.com and browse around to get a feel of how you compare to other vendors in your category. Bonus: When you have your photo situation squared away, videos and audio samples are very important too! If you're ready to move on, upload all of your media here. As always, if you have any questions or need assistance, contact us any time.